Becoming a full-time wildlife photographer is the pipe dream for many an amateur and for most that's all it remains, a dream. For some though, the dream isn't enough and Richard Peters is one such photographer. 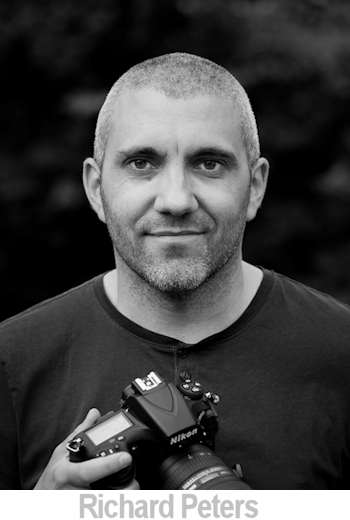 After working in TV for many years and photographing wildlife in his own time, Richard took a gamble and made the leap to work full-time photographing wildlife, shooting for magazines, stock libraries and presenting talks about his work. 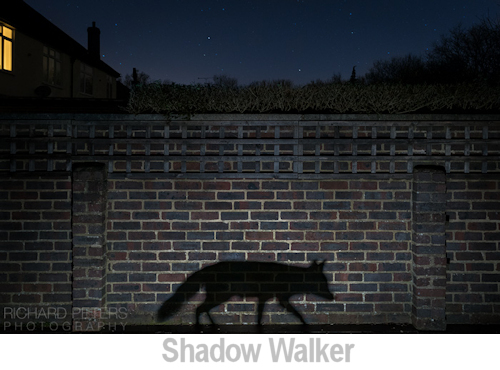 Along the way, Richard's work was recognised in what could be seen as the highest of honours for any wildlife photographer and not just once, but three times, first by winning the European Wildlife Photographer of the Year in 2015, then Urban category of Wildlife Photographer of the Year (See Shadow Walker below) and finally to be asked to become a Nikon Ambassador. In our interview Richard tells us how he made the move to become a full-time photographer and what it's like to work for yourself. Ever since I was very young I’ve had a creative streak. I used to love art and drawing far more than academic subjects such as maths and science. Then when I was about 17, my art course had a photography module and I really enjoyed taking photos and processing them in the dark room (that makes me feel old). Not too long after I went to Canada for two weeks. It was my first time outside of the UK and I loved every minute of it, photographing everything I saw. Both moving and inanimate! I was hooked. What led you to specialise in wildlife? Again, aside from being creative, I’ve always had an interest in animals. I used to love watching natural history documentaries as a kid and always found myself amazed by both the subjects and the images captured, so I think it was only a matter of time before my interest in photography and love of animals and wildlife crossed paths. Although, I must admit for many years I fell in and out of it. I went through quite a long spell of feeling entirely unmotivated and I barely picked the camera up at all for about a year. Then one day I was walking home along the river and saw a heron on a ‘no fishing sign’. I ran home to get the camera and thankfully it was still there when I got back. I loved the humour of the shot and the buzz of getting, what I thought at the time, was a great photo and that got me back on track. How were you getting your work published in the early days? I can still remember my first article contribution now. I think it was about 8 years ago and the magazine contacted me out of the blue. I couldn’t believe it, I was very excited. It was part of a bigger feature but I still had 3 pages within it. That gave me the confidence to start approaching magazines, although I must admit it didn’t come easy and I didn’t get very far at first. I think, if I’m being brutally honest, my work simply wasn’t good enough. So, I knuckled down and concentrated on doing what I loved doing the most, taking photos. I forgot all about getting published but the more I was shooting the better I was getting and that in turn, started to see me get occasional requests from magazines and it just went on from there. Even now the majority of work comes from being contacted rather than me reaching out, although there is nothing wrong with sending the occasional email once in a while, just to remind editors you’re still there. What did you do before turning pro? I worked in the tv industry for just over 13 years, putting graphics live to air for a major news channel in the UK. Think of it like operating a power point presentation, timing it to someone else talking, and being seen live by people all over the world. It could be quite high stress at times and it was unsociable hours, but it was shift work based, so I had as much time off as I had in. Working there for so long allowed me time to build and grow as a photographer whilst still having the security of a regular income. "For anyone wanting to work for themselves, the biggest concern is always the financial one." Why did you decide to make photography a full time career? I am happiest when I’m doing something, anything, that revolves around photography. It sounds so cheesy but when I’ve got my eye to the viewfinder my head is clear, my attention focused (no pun intended) and I’m completely relaxed and at peace. Added to that I enjoy being outside, I enjoy traveling and seeing new places, creating and teaching. I’m also quite sociable, so I really enjoy talking and collaborating with others. Running one-to-ones and workshops are great because it means I get to meet new people and teach them something new at the same time. The chance to do all that, rather than spending life sat at a bank of 20 computer screens, is one I think anyone would take if given the opportunity. Thankfully I was, through a twist of fate. I had worked hard over the previous years to try and improve my work and establish myself but I had reached a point where the day job was stopping me from taking things further. I felt restricted so I knew what needed to be done but the prospect of giving up the security of a salary was overwhelmingly a concern. Then that twist of fate came in and an opportunity arose for me to take voluntary redundancy. It was weird because even though it was what I wanted and needed, I had become a little institutionalised in the day job so the idea of leaving it seemed daunting. But I did. Actually I couldn’t say YES fast enough! And that was that. I haven’t looked back! What decisions did you have to make to turn pro? I think for anyone wanting to work for themselves, the biggest concern is always the financial one. It has to be for obvious reasons. But aside from that I knew, from a business perspective, I’d have to take myself even more seriously than I already did. From emails to tweets, everything you say needs to reflect who you are as a person. Having a slick website and a portfolio of lovely images might get you noticed, but if you want to be taken seriously the way you conduct yourself goes a long way too because you never know who is reading what you tweet or share online. How competitive is wildlife photography? VERY. There are a lot of talented photographers out there now. Not a day goes by when I don’t look on Facebook, Instagram etc and see a photo I wish I had taken. Half the time they’re photos by ‘amateurs’ too. Although, I don’t entirely buy into the labels thing. I think there are a lot of incredibly capable photographers out there who aren’t pro but are producing work that’s of a pro standard. Labels mean nothing but the quality of work means everything to me. Part of the problem in the UK is it’s a small island with limited resources, locations and subjects to photograph, so it can feel like there’s a weird pressure to do better than the next person or impress others. I’m my own worst critique, never mind trying to please others! So, I’ve always just tried to ignore that pressure as best I can and stick to the reason I first picked up a camera, because I enjoy being creative. That being said I’ve made some wonderful friends through my love of photography and I’m always thrilled for them when they achieve something great with their work! Ultimately, the light. That’s what I care about first and foremost. I approach my photography with two thoughts in mind which are light is primary, subject is secondary and all wildlife is exotic to someone. Of course being in a beautiful location somewhere in the world and looking at an incredible species through the viewfinder is wonderful, no two ways about it. But, it’s not what drives me. I am more interested in the light and conditions that I’m shooting in, not the subject that’s before me. I’d take a common species in extraordinary conditions over an extraordinary subject in common conditions. I think having a natural and inherent creative streak is responsible for that. It was also what, in part, inspired me to do my Back Garden Safari project and write the accompanying ebook, to try and show creative or interesting wildlife photography can be achieved anywhere there is wildlife. I take the safe shots of course, but I don’t get excited by those so will only take one or two. Then when the light does something interesting or there is potential to create mood or drama in the image, that’s when I thrive. Where are the markets for wildlife photography? It’s very varied. From a stock sales perspective images of animals can be required for almost anything. I’ve sold images in various countries with multiple uses including everything from children books to the reception of a hotel to a poster advertising a gym! Then you have print sales and ebooks plus workshops and photo trips, which again are varied as it can be anything from a one-to-one just up the road to a week or more on the other side of the globe. People also like to hear about what makes photographers tick, so talks can also be very popular. 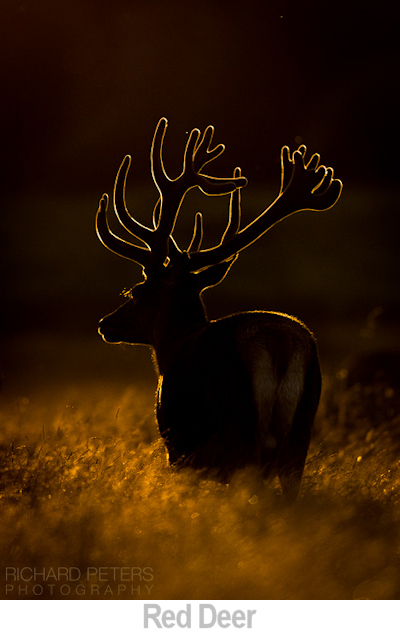 What are the highs and lows of running a wildlife photography business ? The highs are easy. Being your own boss. Doing the things that you want to do, not have to do. Spending time behind the camera. Having a commute to work that can be as small as five steps to the next room or 5000 miles on a plane. Meeting new people. The variation is lovely. The lows are also easy. Editing, cataloguing and keywording images. All quite dull if there’s a lot to be done and a backlog, which there always is. Paperwork, spreadsheets and tax returns. Generally anything that involves spending too much time at the computer. Also spending a lot of time in your own company. Sometimes it’s great but sometimes it can be quite boring. The pros outweigh the cons, although they may not for everyone. 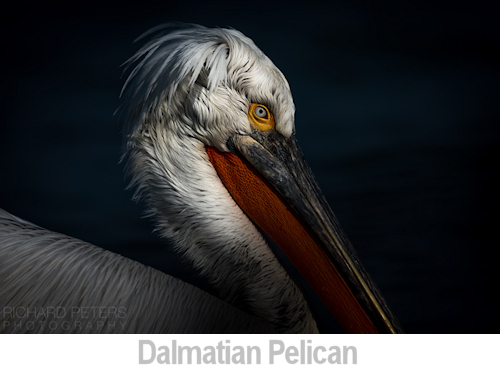 How did winning European Wildlife Photographer of the Year in 2015 affect your career? It’s hard to quantify how any competition success has an impact on your career because you’ll never know what might have been, had it not happened. I have no doubt it all helps get your name out there though and with the industry being as competitive as it is, as per above, every little helps. Becoming a Nikon Ambassador must have been a career high, how did that come about? Whatever else comes further down the line, there is absolutely no doubt in my mind being asked to join the Ambassador programme will always remain one of my career highs. I’ve been a Nikon user from the very start of my journey so for them to recognise my work in this way was incredible. I’m not really sure for certainly what first brought me to their attention but over the course of several months I began building up a relationship their lovely press and marketing team, first being asked to talk on their stand at one of Europe's biggest events of it’s type, BirdFair. Then again at another, The Photography Show, and it wasn’t long after that I was then asked if I’d like to join the lineup. That was another immediate and easy YES and one of those moments you look back at afterwards and think ‘did that actually just happen?’. It’s still early days yet but I’ll be attending more events, writing magazine articles, running workshops and everything else in-between. I recently judged a competition for them, so lots of variety. I’m very much looking forward to working more with the team and seeing where it takes me. Do you have plans to shoot video ? Do you have any advice for amateur photographers thinking about turning pro? First and foremost, you need to be taking photos because you want to be feeding your own creativity. If you’re picking up a camera to please others, harvest more Likes on social media or just to try and earn some money, it will comes across in the quality of your images. There has to be a natural desire inside you to create, and only you will know if you have that or not. For some, it’s always there under the surface and for others it’s laying dormant, waiting to be woken. It’s also important to shoot what you want and in the way you want. It doesn’t matter if something has been photographed a thousand times by a thousand other photographers, if you want to take the picture then do. There’s nothing saying you won’t see it in a different way to those that have come before you. All images are © Richard Peters and used with permission.